Claridad Retinol Moisturizer didn’t help with my fine lines and wrinkles, but actually made my skin worse by causing redness and irritation. The texture and feeling of this retinol moisturizer are thick and heavy, and it feels very heavy and greasy on the skin. The product is easy to apply, and although it’s thick, you won’t want to use very much product on your face because of the heavy feeling it leaves on your skin. When you first apply Claridad Retinol Moisturizer to your skin, it has a cool burning sensation that feels a bit uncomfortable, and the longer it sits on the skin, the more it burns. It left my skin feeling very irritated and red. After using Claridad Retinol Moisturizer for a longer period of time, the irritation became worse. Sometimes your skin can get used to the cool burning feeling, but this product only continued to burn my skin more. 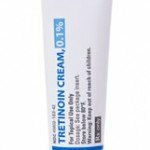 My skin was very red and inflamed from using this retinol moisturizer. It definitely didn’t help with any skin issues, it only caused more. Overall, Claridad Retinol Moisturizer feels very uncomfortable on the skin and doesn’t help with fine lines and wrinkles at all. The texture and feeling of Claridad Retinol Moisturizer are very thick and heavy feeling. When you apply it onto your skin, it feels very heavy and uncomfortable. 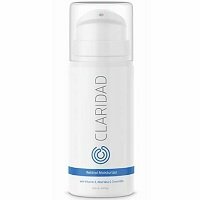 Claridad Retinol Moisturizer is easy to apply; it comes in a bottle with a pump so the product is easy to dispense and it stays clean and uncontaminated. Even though this product is really thick, you won’t want to use a lot of this product because it’s so heavy. I would suggest only using one pump to cover the face and the neck. Claridad Retinol Moisturizer takes a while to dry down, and even after it dries down, it continues to feel very sticky and greasy on the skin. There isn’t much of a scent to Claridad Retinol Moisturizer; there’s a bit of a fruity scent but I don’t think there’s any added fragrance to this retinol. When you first apply Claridad Retinol Moisturizer to the skin, it feels cooling to the skin. 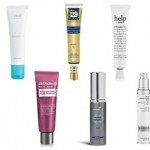 The longer it’s on the skin, the more the retinol starts to feel like icy-hot and it burns. The longer the product is on the skin, the more it burns. After using Claridad Retinol Moisturizer for a short period of time, my skin was extremely red and irritated. After using Claridad Retinol Moisturizer for a longer period of time, I was thinking that the feeling of the cool burn might go away. Unfortunately, the feeling didn’t go away, but it actually got worse. This product continued to irritate my skin, and over time, my skin became more and more sensitive and red. This really didn’t agree with my skin. Claridad Retinol Moisturizer has a lot of really interesting ingredients including things like vitamin A, vitamin E, and aloe vera. First, vitamin A is another form of a retinoid and it works well to help fight the skin’s signs of aging by smoothing out the skin and the appearance of fine lines and wrinkles. 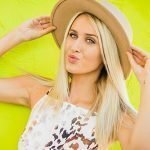 Vitamin E is great for the skin and for anti-aging because it helps block free radicals from the skin and it is full of antioxidants that help smooth fine lines and wrinkles. Aloe vera is great for the skin because of its healing properties. It can help restore moisture to the skin and help to repair the skin and heal signs of fine lines and wrinkles. The cost of Claridad Retinol Moisturizer is $21.97 for 3.4 oz of product which comes to $6.46 per oz. This is a below average price for a retinol moisturizer. Unfortunately, there is no money back guarantee for Claridad Retinol Moisturizer. To buy Claridad Retinol Moisturizer, click here. Ingredients Vitamin E is great for fighting off free radicals from the skin.